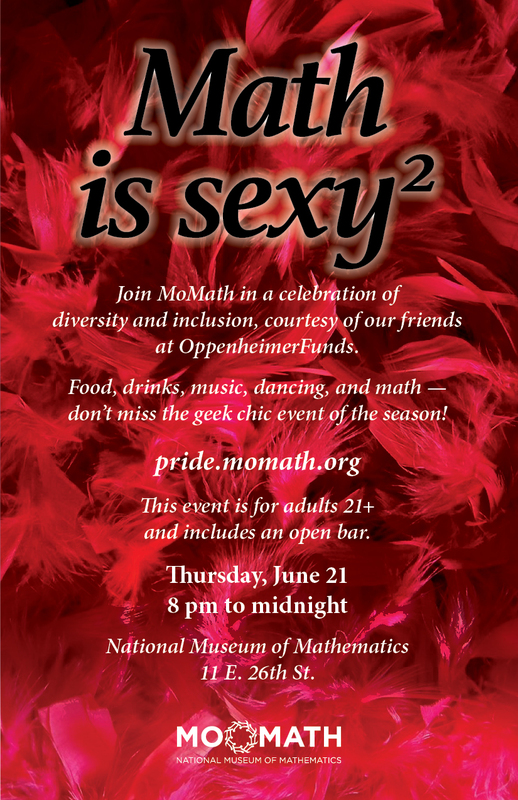 Join MoMath in a celebration of diversity and inclusion, courtesy of our friends at OppenheimerFunds. Food, drinks, music, dancing, and math — don’t miss the geek chic event of the season! Featuring the music of DJ NAR, DJ Paul, and First Class DJs. This event is for adults 21+ and includes an open bar. Tickets are available online via the registration link below. If available, tickets at the door will incur an additional charge.